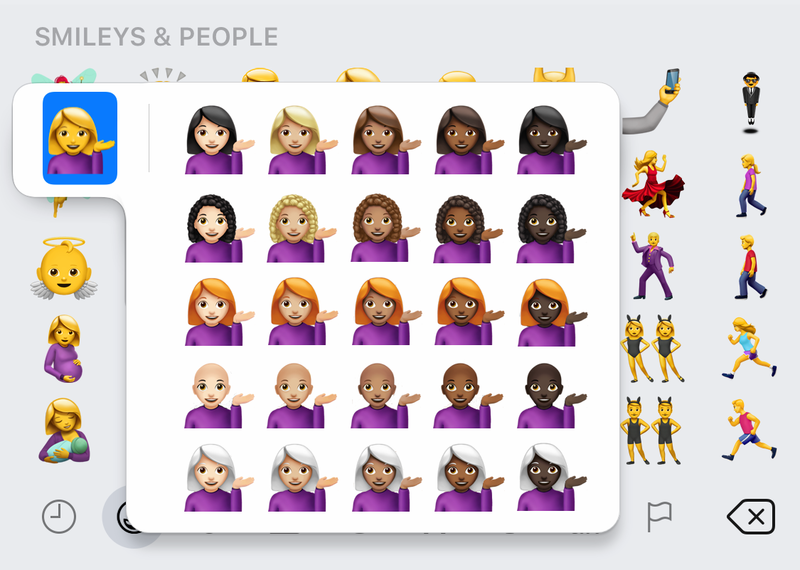 Earlier this month 230 new emojis were approved for release in 2019; but what about all the other requests? The number one emoji wanted by Emojipedia users is “happy tears”: an emoji to show a sense of being proud or emotional in a happy way. Crying with a smile but certainly not laughing. Another popular request which featured in the 2018 and 2017 top emoji lists is a salute. 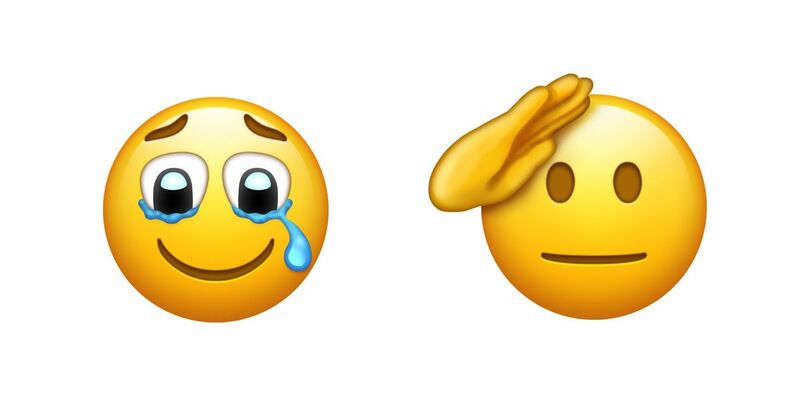 Above: "Happy tears" and saluting are popular emoji requests in 2019. Image: Emojipedia mockups. 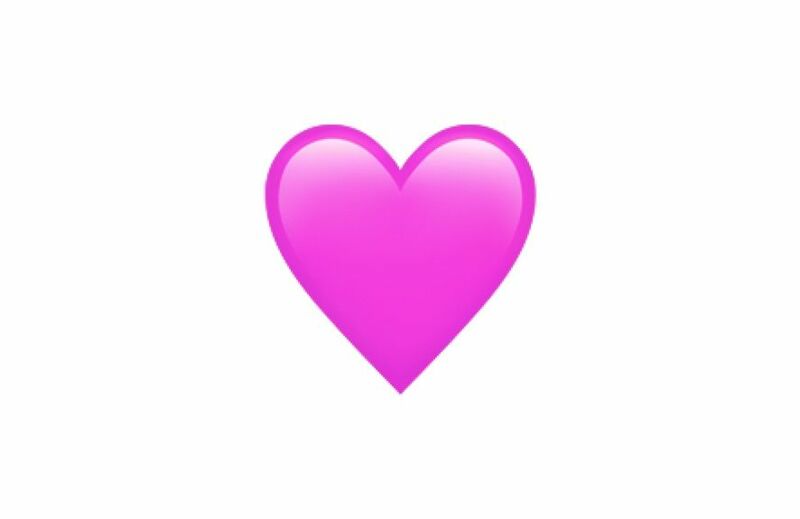 With a new white heart emoji coming out this year (a popular request in past years), the demand is now on for a pink heart emoji. Hearts are always popular, and some of our most requested in all shapes and sizes. Trailing a pink heart are requests for a pale blue heart, rainbow heart, hands in the shape of a heart as well as an index finger and thumb twisted to form a small heart. Above: Should there also be a pink heart emoji? Image: Emojipedia mockup. Other popular requests in the past twelve months have been for all manner of flags, as well as the return of classic smileys from other platforms or older iOS releases. In no particular order, here is a compilation of top requests from Emojipedia readers in the past twelve months. Above: A selection of emoji requests popular with Emojipedia readers. Image: Emojipedia mockups. Above: Grimacing Face With Smiling Eyes (Apple), "Fingers Together" (Emojipedia), Bashful Face (MSN Messenger). 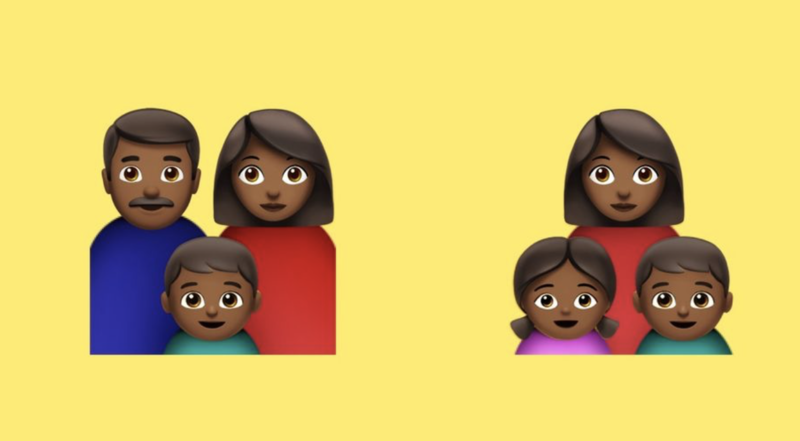 Above: Black families are a popular emoji request. Image: Emojipedia mockup using Apple designs. Above: A triceratops and honey badger are among new animal requests. Image: Emojipedia. 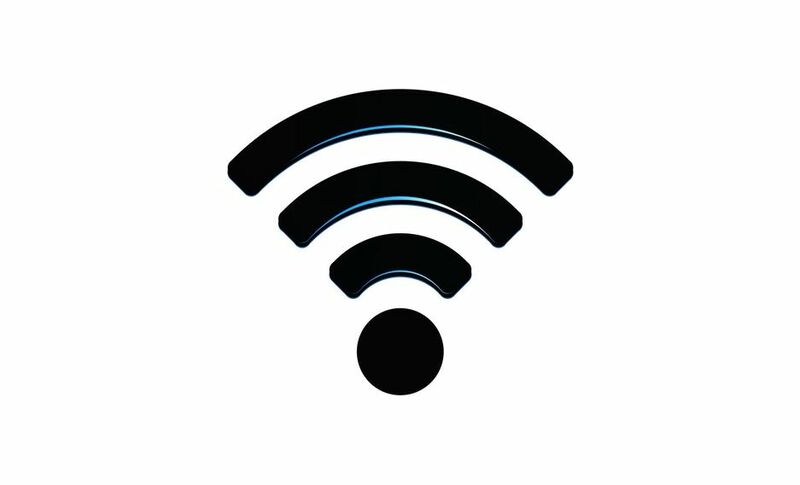 Above: WiFi as an emoji? Image: Wikimedia / public domain. Above: Flags to represent Transgender and Australian Aboriginal people. Image: Emojipedia. One difficult part of gathering emoji requests is that people often feel passionately about an emoji in a disproportionate way to how often an emoji might be used. There may be no lobbying effort to have a waffle emoji approved, yet chances are it would be used a lot more than a NATO flag which has many people trying to make the case for its popularity. Additionally, a number of examples in this list are wider than the scope of most emoji keyboards at present. Above: Some emoji requests would require a more advanced emoji keyboard. Image: Emojipedia mockup using Apple designs. While this list provides an insight into the requests Emojipedia has received in the past year, the Unicode Consortium is the body reponsible for approving new emojis and not Emojipedia. Those wishing to formally propose an emoji can do so by checking the emoji selection factors and submitting a proposal. It should be noted that at the time of writing, the 2019 emoji additions haven't come to any major platforms. Many top requests are for emojis already approved but not yet on devices. 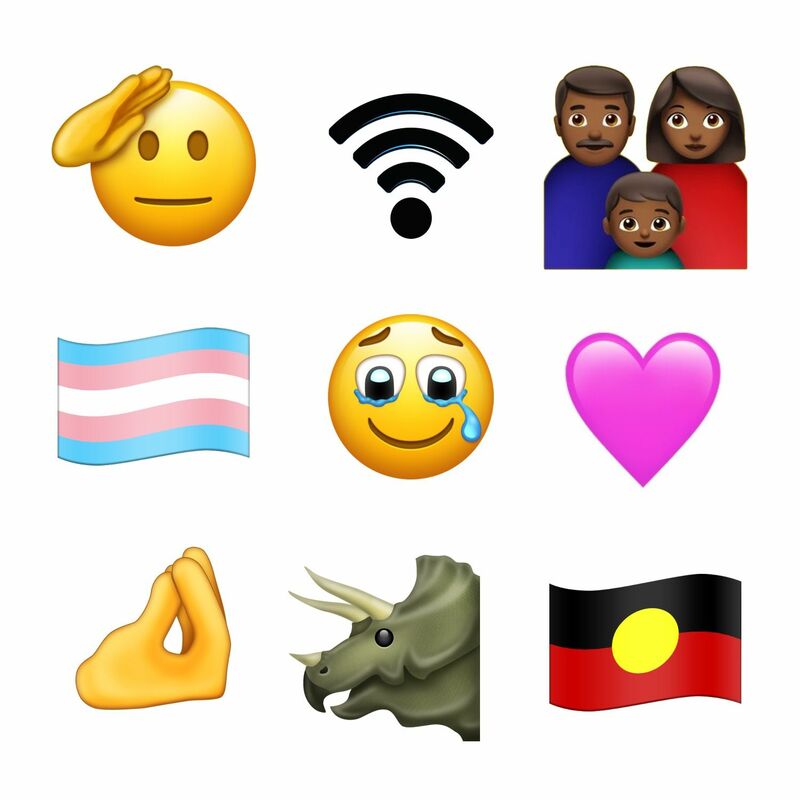 Above: New emojis added in 2018, approved in 2019, and popular requests for next year. Images: Apple (2018), Emojipedia (2019 and 2020?). We'll check back next year to see which of these, if any, make the final cut for 2020.